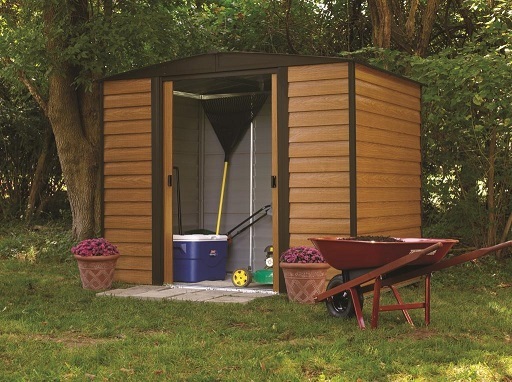 Get the realistic look of wood with the wood-grain Euro Dallas (Woodridge) storage building. The Euro Dallas tall walls gives you easy access to all stored items from lawn mowers, patio furniture to grills and much more! 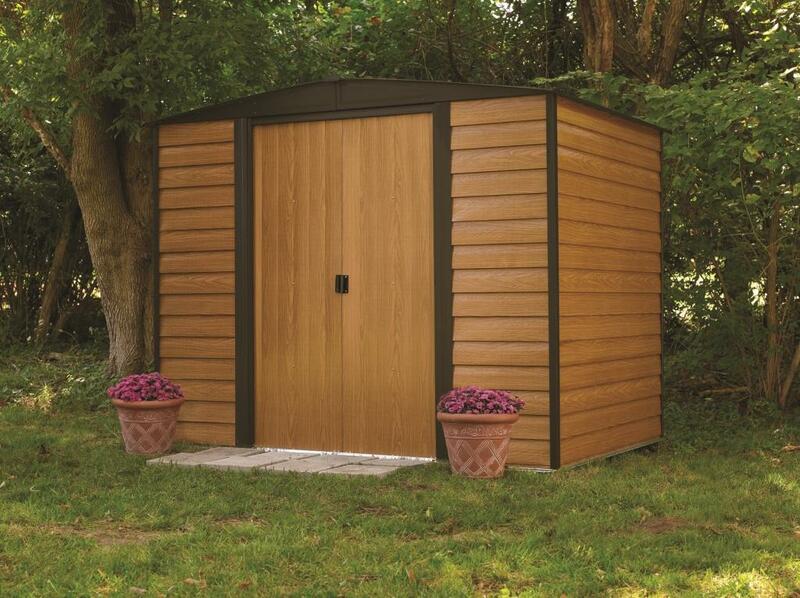 Interior Dimensions: Width: 118.25" Depth: 66" Ht: 77.88"
Door Opening: Width: 55.5" Height: 69.25"